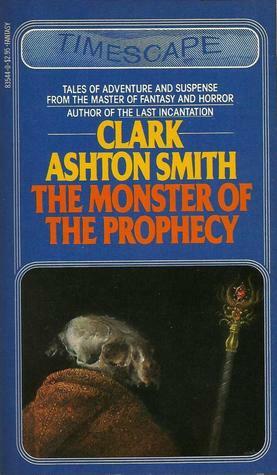 Clark Ashton Smith is one of the greatest pulp writers of all time, and certainly one of the greatest early fantasy writers. Over a century after his first collection appeared (The Star-Treader and Other Poems, in 1912) virtually all of his work is still in print. That’s an extraordinary statement. Of course, when I say “in print,” I mean it’s available in an assortment of limited edition hardcovers and trade paperbacks from Night Shade Books, Prime Books, Penguin Classics, and others. Meaning the majority of volumes are priced chiefly for the collector. 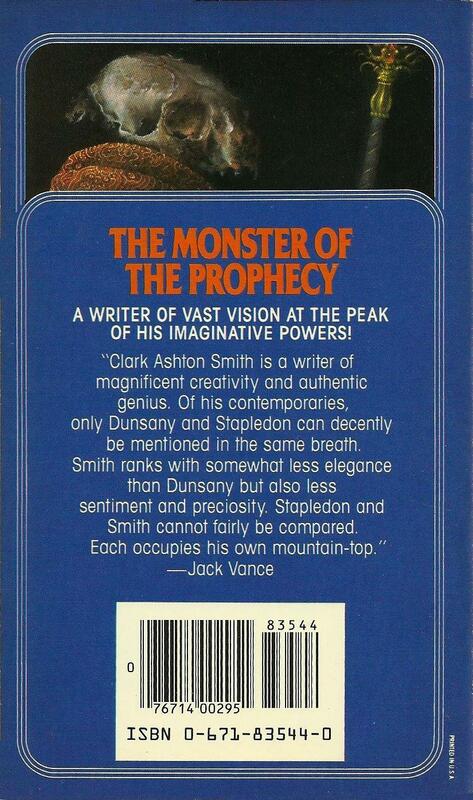 There hasn’t been a mass market edition of Clark Ashton Smith in over three decades, since Pocket Books’ Timescape imprint released a handsome three-volume paperback collection of his most popular stories between 1981 and 1983. These were the books that introduced me to Clark Ashton Smith, with their gorgeous Rowena covers, and their delightful quotes on the back from Jack Vance, H.P. 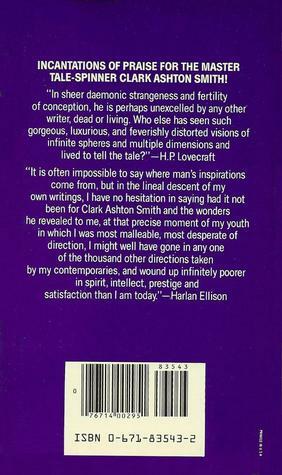 Lovecraft, Fritz Leiber, and Harlan Ellison. All three volumes had introductions by Donald Sidney-Fryer. Sadly, the Timescape imprint was shut down in 1985, and the volumes were never reprinted. Although virtually all of CAS’s short fiction is in print today, these volumes are still highly sought by collectors, chiefly for nostaligic reasons. The first two are relatively easy to find, but for whatever reason, The Monster of the Prophecy is a little harder. If you’re a CAS collector, expect to pay more for that one. I’m delighted, of course, that so much of Smith’s work is widely available. But, in my experience, when an author disappears from bookstores because there are no mass market editions, that’s the last stage before total obscurity. The only folks reading and buying CAS today are those of us who were exposed to him in our youth, three decades ago. 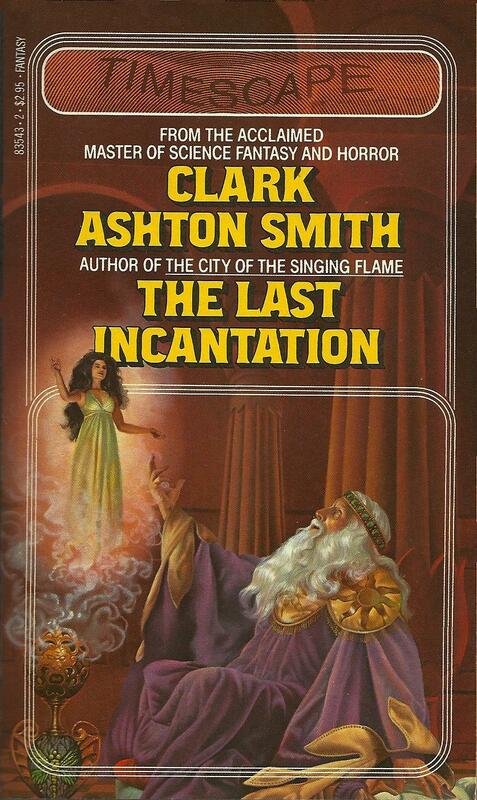 There are publishers — like Bison and Prime Books — working hard against that trend by publishing inexpensive trade paperback editions of some of CAS’s most popular works, like Prime’s The Return of the Sorcerer: The Best of Clark Ashton Smith. They deserve our support, and I hope their efforts are enough to keep Smith’s work alive for another generation. Conveniently, Night Shade is running a sale — the eBook version of End of the Story (V1 in their 5-volume collected CAS fiction) is currently $1.99 from the Usual Suspects. 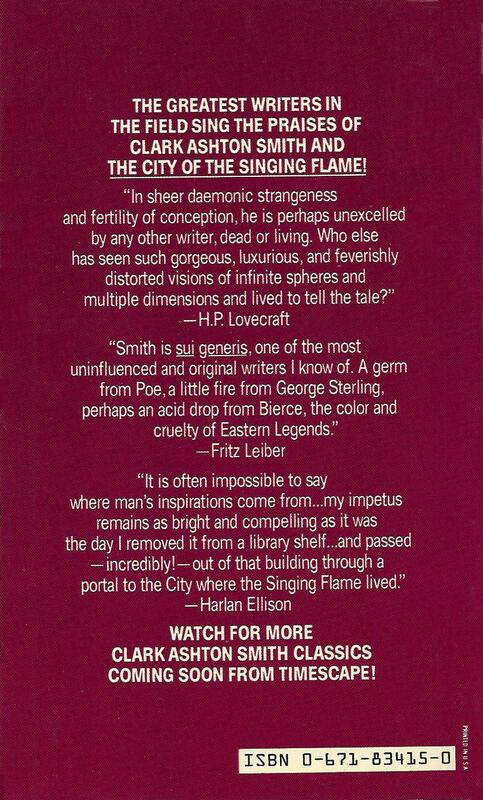 City of the Singing Flame was my first introduction to CAS — the Rowena cover caught my eye on a public library paperback spinner. 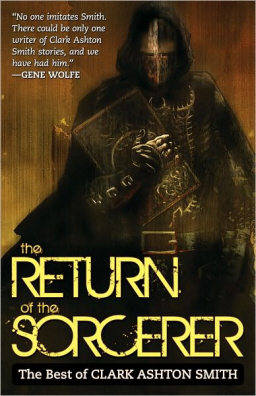 Sadly, I didn’t see any of the other Timescape editions until many years later, but that book led to the BAF editions and thence to Arkham House’s Rendezvous in Averoigne with the lovely J. K. Potter artwork. 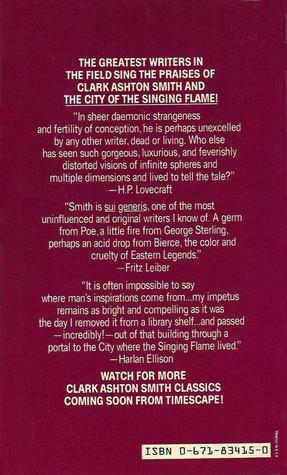 The Dark Eidolon (found in City) continues to be my favorite Smith story. I recently listened to all five of the Night Shade Press volumes on Audible. I thought they were very good productions, and well worth the price. > I recently listened to all five of the Night Shade Press volumes on Audible. I wasn’t even aware there were audio versions. Thanks for the rec! Until the Night Shade volumes, collecting CAS was a freakin nightmare. I had several paperbacks that were taking up shelf space because they literally had ONE story in them that wasn’t replicated in any other CAS books I had. 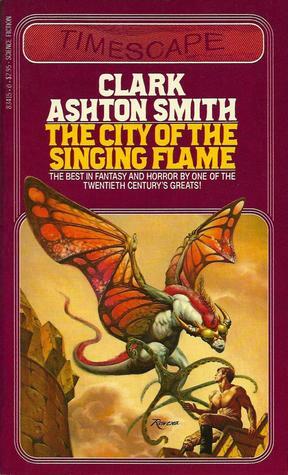 I was finally able to turn my copies of City of the Singing Flame and The Monster of the Prophecy to my son, who literally read them to the point of disintegration…which is the best testimonial that a writer can get! > who literally read them to the point of disintegration…which is the best testimonial that a writer can get! Indeed. There should be a scale based on how well-loved (and endlessly re-read) a book is. The more tattered and read, the more valuable the book! No one needs to buy those expensive books if the point is just to read the guy. I love the CAS paperbacks – I recommend Amazon.com – sometimes ebay – but usually the former a well read but still presentable copy is being dumped for a few bucks or less. Ballantine ones are my fav. I’ve bid for some original Weird Tales but his best stories have “Brundage” covers so people bid too much for those. Also you can find the stories online easily, most save a few works (black diamonds, sword of Zagan) well into public domain. Cool to zip them into .pdfs for your e-reader yourself good practice for formatting e-texts! I obsessively collect the Timescape imprint (I found more new authors from this imprint than any other), and it’s nice to see them getting some love! 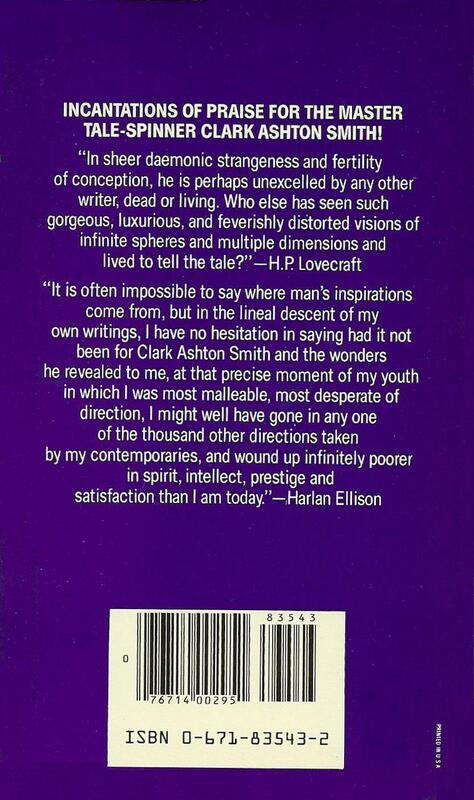 I’ve never read any CAS but as a fan of both Robert E. Howard and HP Lovecraft, I’ve been aware of him for some time. 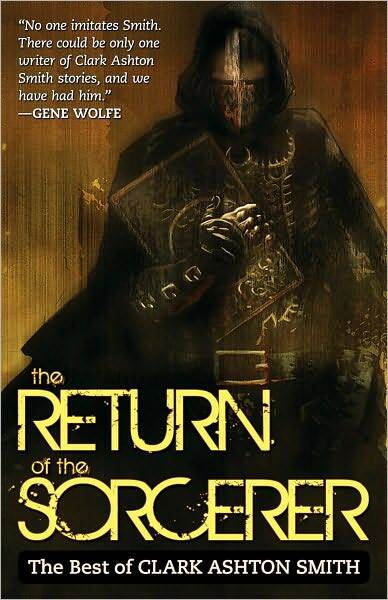 I’ll have to get a copy of The Return of the Sorcerer. For those of you more familiar with CAS, why was he the least known of the Lovecraft circle? I’ll take an off-the-cuff stab at NOLAbert’s query. Howard and Lovecraft had their peculiarities, but they don’t strike me as narcissistic. Smith does. I have the sense in reading him that his stories are typically exercises in self-conscious decadence and morbidity. The story is ostensibly about goings-on in some exotic locale, but he’s (as it were) looking over the edge of his glasses at you to see if you’re getting his insinuations. He wants to be *clever*. I admit that what I’m saying is based on a few relatively recent visits to some of his stories plus wider reading in his work as it appeared in Ballantine’s reprints under Carter’s editorship in the 1970s. Other readers may have more recent experiences to draw on and might disagree with me; or maybe they will confirm some of what I suggest. Smith’s arcane vocabulary isn’t there to show off, I think; it’s there to construct a truly alien world. And It’s also a mistake to think that Smith took his extreme decadence and gruesomeness altogether seriously; a lot of it was literally playing with language, playing with conventions – he was a much funnier writer than he usually gets credit for. He’s very much worth a try, but he certainly isn’t for everyone. Oh, and one more possible reason for his obscurity (in relation to Howard and Lovecraft) – he’s not nearly as easy to imitate. That’s probably part of what I was getting at as regards Smith aiming for cleverness. I see the aim at cleverness — winking at the reader or flattering the reader as being sophisticated — as characteristic of some late-19th-century and early 20th-century writing (Wilde, Cabell, etc. come to mind). This approach is open to criticism on the grounds of inspiring notably perishable materials: i.e. it depends for some of its effectiveness on being in contrast with the supposed norms of ordinary folk, over against which author and reader can set themselves. This is the “épater les bourgeois” schtick. There is more to Smith than this, I grant. But it’s a strong enough flavoring in cocktails he’s served up that I thought it worth mentioning. The unusual vocabulary that Thomas mentions is another. Smith must be murder to read if you were taught by the “sight reading” method, as many American schoolkids have been. That is true in some of his stories, but far from all of them. He hit a wide spectrum of tones in his different works. Some are quite staid with a bit of subdued humor thrown in; some are earnest and straightforward; some are rather cold and remote. He was admittedly more successful in some veins than others. As to why his stories are not as well-known, well, I think they are an acquired taste, and perhaps best taken in small doses. In support of your comment about CAS having varying styles, Raphael, I’ll mention that I read a science fiction story by Smith a while ago (published in a Scholastic paperback from the 1960s!) that featured a much plainer style than one usually associates with this author. The title slips my mind, but it concerned an attempt to re-ignite the sun, something like that. You’d never guess it was by Smith if not for the byline. That would be “Phoenix.” A very late one, but a good one, I think.